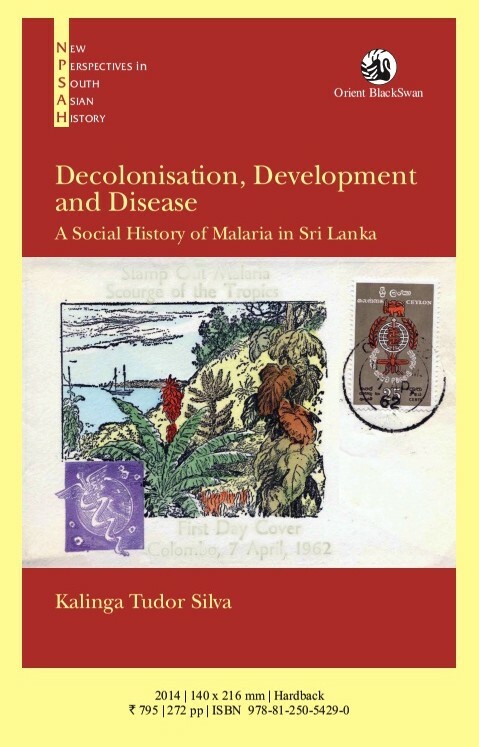 This is about a book by Professor Kalinga Tudor Silva titled “Decolonization, Development and Disease: A Social History of Malaria in Sri Lanka.” If I put it suggestively, this book can be called a study of ‘socio-malariology.’ It is not malariology proper as far as we know its parameters, but its social or sociological side. Tudor Silva is Senior Professor in Sociology at the University of Peradeniya and this book might take international attention in a context where Ebola is creating similar havoc like malaria, rapidly taking an increasing number of death toll and raising similar questions like what the author has raised underpinning lopsided decolonization, unequal development, conflict and poverty. The traditional malariology, as David Turnbull (2000: 163) has defined, investigates “interaction between three factors: the human host, the mosquito vector and malaria parasite manifested in a particular locale and time.” The author undoubtedly expands these premises on the side of the ‘human host,’ taking into account the social history, power politics, policy interventions and the presence or absence of social movements. This book is a substantive contribution to our knowledge on the subject. Published by Oriental BlackSwan, 2014, and spanning into 258 pages with tightly knit and logically ordered 7 chapters, the book is an in-depth study of the malaria epidemic in Sri Lanka for over 80 years from early 1930s to the present day with a historical background going back to the past and covering both the colonial and postcolonial dimensions of this deadly disease and its socio-economic and political ramifications. 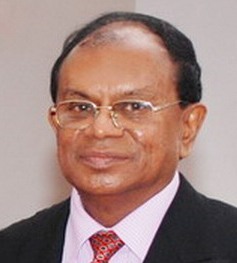 Instead, the author in his own words highlights the “significance of human interventions, such as social and environmental changes brought about by plantation development under colonialism and economic development, migration and war under postcolonial regimes in the transmission and control of epidemic malaria” in the case of Sri Lanka. The author in his theoretical introduction to the study has delineated three different approaches to the study of man’s struggle against malaria initially in the colonial period yet continuing in the postcolonial contexts in many countries. First is the approach of what he has called the ‘modernist approach’ which is apolitical (or pretends to be) and attempts to be purely ‘scientific,’ based on modern science and scientific research on disease and medicine. The weakness of this approach might be not only the neglect of traditional knowledge in the respective countries but also the evolving social and environmental conditions. More enlightened and agreeable to the author is the third approach or the ‘socio-historical perspective’ developed by William McNeill in his Plagues and People (2008) which takes not only people’s concerns but also their traditional methods in combating diseases like malaria. It is important to note at the outset that the author’s treatment of nationalism in this context is constructively critical which emphasizes on the one hand nationalism’s positive critique of colonialism and on the other it’s regressive role in promoting ethnic dominance, conflict or armed interventions. The latter is the reason for his extensive study of the “War-Induced Malaria Outbreak in Northern Sri Lanka, 1990 to 2002” in Chapter 5. ‘Disease’ is not merely a medical issue. It is a social phenomenon intercepted by politics, economy, culture and historical forces, not to speak of ecology or geography. This is the main perspective of the book and the argument has a Foucauldian connotation after Michel Foucault’s much famed study Madness and Civilization (1967). Foucault argued, rightly or mistakenly, that in order to understand medicine or disease we have to think about them as ‘discourses’ of health, rather than accepting them merely as objective descriptions of reality. This is partly true in the case of colonial medicine or tropical medicine. Beginning by “Mapping Fevers in British Ceylon” (Chapter 1) this is what the author has investigated in his book. For the Portuguese, Dutch and early British records, all were ‘agues and fevers’ and the scientific discovery of malaria came rather late in 1880. For Robert Knox it was ‘country sickness’ and for the Sinhalese it was largely Kala Una (forest fever). The reasons given were various and it was curious that Emerson Tennent in 1858 both used the term ‘malaria’ and identified the culprit as ‘mosquito.’ In this chapter, while the author giving a comparative picture with India or particularly Bengal and Gujarat, also takes the discourse back to ancient civilizations of Sri Lanka (Anuradhapura and Polonnaruwa). The theory put forward by Lucius Nicolls (1921) that Malaria was introduced to Ceylon from South India that caused the fall of the ancient cities is speculative and as the author has underlined clearly, the theory also reinforced Sinhala nationalism with the advent of malaria in 1930s. Malaria epidemic during 1934-35 brought the disease and politics closer together. Chapter 3 titled “Mixing Politics with Quinine” tells the story of this synergy. Malaria was not only a health issue but primarily a political one. Granting of universal franchise in 1931 heightened its political potential or character. The epidemic took 80,000 to 100,000 lives or nearly 2 percent of the population. More people became ill. It was a challenge for malariology and tropical medicine like Ebola today. There was no WHO though during that time. As the author says, the ‘official discourse’ attributed the epidemic primarily to climatological and environmental factors. However, there were much more to the story. The author outlines the ‘scientific discourse’ as well, which gave emphasis on increasing deficiency in immunity among certain vulnerable sections of the population midst other factors. What was missing in both discourses was left for politics or public media to cover. 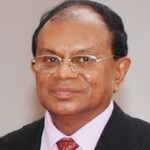 The author records interesting episodes reported by the media and one story depicts the picture of “a man ill with fever having to carry the dead body of his child in one hand and a mamoty in the other in order to bury the child.” Then there is the incredible story uttered by a politician of a doctor in Kurunegala who had seen 5,000 patients in five days! This is the best chapter in sociological sense in Silva’s book on Malaria which I don’t intend to delve on much. However it has to be noted that in his analysis of particularly the political responses to the disaster, the fundamental differences between the nationalists and the Leftists have not been clearly identified by the author as much as it should have been. It is well known that some of the nationalist leaders were lukewarm or reluctant at the beginning in addressing the issue. Even some used to attribute the epidemic to Karma (Revolt in the Temple). It was basically the Left leaders of those days who clearly identified the link between Wasangathaya (the epidemic) and Sagathaya (hunger) which became a prominent social discourse on the subject thereafter. There is no question that the shock waves created by malaria and the political responses to that calamity helped shaping the welfare state in Sri Lanka among other developments. The main cry was for universal health and free education. There were however weaknesses in the thesis that ‘malaria blocks development’ and therefore ‘eradication of malaria unblocks development.’ This is a problematique that the author has investigated critically in his subsequent chapters. The most fascinating chapter of the book perhaps is “War Induced Malaria Outbreak in Northern Sri Lanka, 1990-2002.” The analysis is both theoretical and empirical. Wars have played a significant role in the historical epidemiology of malaria throughout the world and as the author says, ‘sometimes killing more soldiers by malaria than in actual combat operations! So peace was and is a necessary condition. The chapter gives a global picture while going into depth of what happened in the Northern and Eastern Sri Lanka during the war period. As the Table 5.1 shows the positive number of cases in the two provinces have increased exponentially with associated deaths during 1996 and 2000. This corresponds very clearly with the Third Eelam War (1995-2001) in the country. The Jaffna district which was relatively free from Malaria even during the worst periods previously, as the author has demonstrated, was the first to succumb to the disease in early 1990s. There are four major historical continuities and discontinuities that the author has highlighted in concluding the study which may appear arbitrary to summarize, nevertheless useful in a review. 1. Malaria has erupted cyclically or in waves. Unfortunately, at the end of each wave there was considerable optimism among the malaria workers, general public and the policy makers. The author warns us against this irrational optimism. 2. Malaria has rejuvenated after each wave, bypassing the existing knowledge, technology, strategies and malariology. Another reason for the holding back of our knowledge is the undue dominance of prevailing ideologies or institutions both nationally and globally. The requirement is continuous critical research. 3. The importance of environmental protection in general is paramount. As malaria epidemics have underpinned, most of these disasters are related to environmental denigration and/or ecological changes as a result of lopsided policies, for example, of plantation economies or colonization schemes in the case of Sri Lanka. 4. The last but not least is the most important link between poverty and malaria or disease in general. The poor and socially marginalized sections have always been the worst affected. Therefore, without poverty alleviation, social justice and equity – transcending class, ethnic, gender and other barriers – there will be no sustainable malaria eradication. Let me conclude this review of the book by Professor Silva on “A Social History of Malaria in Sri Lanka” with a critical note as well. It is a lingering thought on my part on the basis of my serious doubts about the ‘discourse analyses’ in general. Undoubtedly, the social discourse on malaria has changed over time, from colonial to postcolonial, with several variations within each period. It is questionable however whether the issue of malaria or malariology is a discourse alone. The physical, biological or technological conditions of malaria or malariology also have changed but those are not necessarily related to the people’s perceptions or hegemonic interests formulated into discourses. Although overlapping, the distinction between a discourse and a Science doesn’t need to be overstated. The author has primarily dealt with the discourse side of the issue but has never denied Science, natural or social, particularly in studying malaria. The study is abundantly socio-scientific. The indigenous criticisms against western or tropical medicine on malaria emerges not only from the perceptions, in my opinion, but also from the traditional (experiential and experimental) knowledge akin to science today. Ayurveda, Yunani or Siddha are not mere discourses but Vidya (science or scientific knowledge) however imperfect, largely disrupted by colonial and other interferences. What might be necessary is a synergy or a synthesis between the tropical and indigenous medicine as far as it is scientifically possible or allow a coexistence between the two. This is in addition to the need for purposeful investment in research on indigenous medicine. 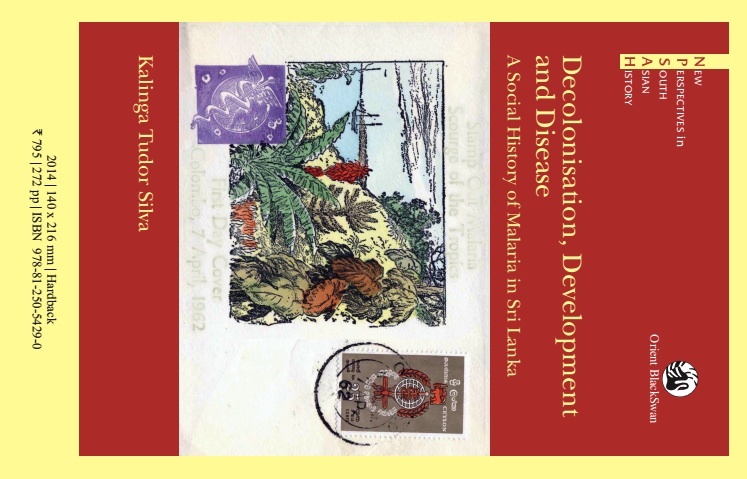 If not for the author’s extensive, thorough, methodical and well documented study on the social history of malaria in Sri Lanka with a down to earth theoretical framework these thoughts would not have been possible. The book is extremely thought provoking. Anne-Marie Barry and Chris Yuill. 2002. Understanding Health: A Sociological Introduction. London: Sage. William McNeill. 2008. People and Plagues. Chicago: Paw Prints. Lucius Nicholls. 1921. “Malaria and the Lost Cities of Ceylon.” Indian Medical Gazette (56). David Turnbull. 2000. Masons, Tricksters and Cartographers: Comparative Studies in Sociology. Amsterdam: Harwood Publishers. [D. C. Vijayawardhana]. 1953. The Revolt in the Temple. Colombo: Sinha Publications. ‘Sinhala Only’ policy and Sinhala Buddhist majoritarian rule (and Low Country Sinhala Buddhist rule) has claimed more lives than Malaria. That is why from politics to Hygiene. Thanks for the interesting review, Laksiri. A few thoughts. In 1999 the Age newspaper in Melbourne did a special investigation into malaria trials done in secret in Australia during and immediately after the Second World War (in 1945 and 1946). It was reported that the army recruited injured soldiers, interned Italians and Jewish refugees to test out the drugs Paludrine and Paracetamol (Panadol). The paludrine was being tested for ICI and the panadol for Winthrop. In these experiments the test subjects (called ‘human guinea pigs’ in the report) were given malaria by transfusion of infected blood (provided by the Red Cross) and exposure to specially bred mosquitoes. The mosquitoes were bred by the CSIRO to carry hundreds of times the normal load of malaria parasites. The tests were justified as a necessary part of the war effort since the Allies were losing so many men to malaria in the Pacific War. However, the experiments were continued for some months after the war had ended, under pressure from ICI and Winthrop. These experiments were denied by the Australian government for more than 50 years; men who said they had been used as human guinea pigs during the war were accused of being mad. The breeding programs of the CSIRO (then the CSIR), where mosquitoes were bred to carry hundreds of times the normal load of malaria parasites, raise the question of what happened to such breeding programs after the war ended. Did clandestine entomological warfare research continue? After the war ended there were concerted efforts to use DDT to rid the world of malaria spearheaded by the WHO. The initial results were dramatic in Sri Lanka, but there was increased concern about the long-term environmental risks and the health risks of DDT. There was also a growing problem of DDT-resistant mosquitoes, but this was mainly due to widespread agricultural use, rather than use for vector control. The impetus for a global ban on DDT came from Rachel Carson’s 1962 book Silent Spring, which warned of a new ice age resulting from the indiscriminate use of insecticides like DDT. In his novel State of Fear, author Michael Crichton wrote “Banning DDT killed more people than Hitler.” This may be an extreme view, but it cannot be doubted that the ban on DDT has resulted in many millions dying of malaria. Because of these environmental and health fears DDT was not used in sub-Saharan Africa, where most of the malaria deaths are today. Rachel Carson’s warning of an Ice Age is the opposite of what is happening – there is global warming, not cooling. At the same time, the ban on DDT is credited with saving certain bird species from the brink of extinction. Everyone seems to agree that combating malaria needs a holistic approach. Two encouraging areas are the breeding of larvivorous fish and growing mosquito-repelling plants. The food plant of the Colotis genus of butterflies (small orange tips and crimson tips) that are found in the north of Sri Lanka is known to repel mosquitoes. I’m not sure if larvivorous fish are being used in malaria prevention strategies in Sri Lanka, but they have had some success elsewhere. As you mention it is more than likely that malaria was an unwanted gift from India, during one of the multiple invasions that took place, the last of which is still blamed for the destruction of the water conservation and distribution system that then existed. There is also the possibility that the failure of the monsoons for a prolonged period may have had a hand as it alone did in the fall of the Khmer civilisation in the 15th century. The land around became uninhabitable as the reservoirs with still water became good breeding grounds for the mosquitoes. Another fact that needs mentioning is the decline in the population that took place from the Polonnaruwa period onwards. An English historian has said that Polonnaruwa in it’s heyday had a population of 3 million (though disbelieved now), while the estimate of 600,000 is mentioned for when the Portuguese landed on these shores. Was malaria the ONLY cause of this de-population, which opened up the land to be settled by the Dutch-imported labour from South India in later years. Romesh makes some important observations above. If true, the involvement of the ICRC is most reprehensible. Let us not forget the late Dr Rajendram who, as Superintendent of the Anti Malaria Campaign in the late 1930s, led the campaign in eradicating the scourge of Malaria from the then Ceylon.